Why You Should Try GCB70 Capsules? Here’s Why You Should Try GCB70! Losing weight is not something that can happen overnight, right? I am sure that you are sweating it out at the gym as well as following your diet to the T. How would you feel if I tell you that there is something extra to assist you in your weight loss journey? Something that helps you shed the extra kilos you have been carrying around for so long. Most welcome, right? I came across a product in the market called GCB70. These are capsules containing green coffee bean extract with 70% chlorogenic acids. If you are wondering what chlorogenic acids are, then let me tell you that they are phytochemicals present in green coffee beans that are destroyed when the coffee beans are roasted. So, your regular coffee cannot offer benefits similar to green coffee bean extract. Want to know the benefits of this extract? Keep reading! 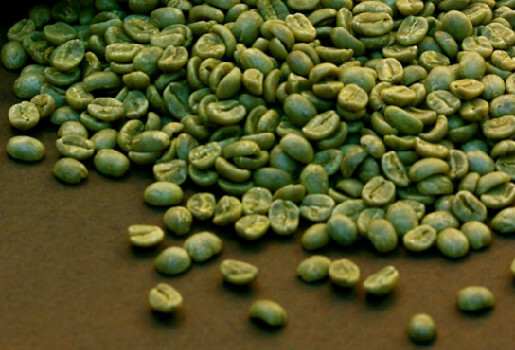 Green coffee bean extract – What does it do? Green coffee bean extract has chlorogenic acids that help in absorbing free radicals which in turn helps in preventing the damage caused to the cells of the body. Green coffee bean extract has been known to reduce blood sugar levels and exhibit an anti-diabetic effect. It is also known to help regulate metabolism. And that is something every overweight individual wishes for, am I right or not? No one likes to live with a sluggish metabolism! The green coffee bean extract seems to be promising when it comes to weight loss! Now, coming back to the GCB70 capsules, each and every capsule has green coffee bean extract that amounts to 500 mg (70% chlorogenic acids). Each bottle has 30 capsules and it is recommended that they should be taken along with a healthy diet and exercise. These capsules are 100% natural which means that they are made out of stuff found naturally in nature and not from artificial chemicals. They help in preserving natural antioxidants. How many GCB70 capsules should you be consuming in a day? You need to have 1-2 capsules after meals in a day. If you wish to buy these, you can get them from here! PreviousPrevious post:WE WON AGAIN! GRECOBE- The Green Coffee, A proud winner as ‘Best Tasting Functional Beverage’ at Vitafoods EuropeNextNext post:ARE YOU SUFFERING FROM BOTH PCOS & DRY EYE DISEASE? Why getting your nutrition only from food is a bad idea? Is Yo-yo Diet Actually Beneficial?